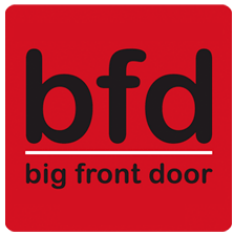 located in university heights and solana beach san diego, big front door (bfd) is a savory deli offering quick and delicious meals prepared fresh and on-site with premium ingredients. our menu features creative and hearty, made-to-order sandwiches, soups, salads and sides, artisan cheese, breads and baked goods, specialty sodas and light to-go entrees. we offer several vegetarian and vegan options as well. having a party or event? bfd's catering services are the tastiest in san diego. bfd also features an in-house specialty wine and craft beer shop offering unique selections from smaller, boutique producers and local breweries and wineries.